MINUTE TO WIN IT: Family's Million Dollar Circle! MINUTE TO WIN IT: Family’s Million Dollar Circle! It takes a show first of a family of five to go for the $1 million grand prize on NBC’s “Minute to Win It”! This special two-hour episode will feature children playing in the 60-second circle without the help of their parents. The oldest sibling is 18 years old. The million dollar challenge (“Super Coin”) that they will have to face is bouncing a quarter off a table and into a water jug 15-feet away. 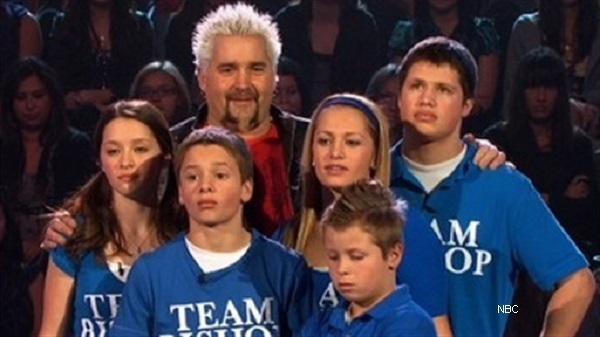 Some audience members who watched this particular episode taping said that it made sense that the kids would make it to the final challenge because they don’t have the same inhibitions that the adult contestants have. This may be true, and there is evidence in the show’s casting notices which have stated that they are looking for more families to put on the game show. Watch them play tonight starting at 8/7 C on NBC.